A heavy ritual iron vajra hammer (Skt: Vajramudgara, Tibetan: Dorje Towa) based on a known Tibetan example dating to the 15th C. The iron vajra hammer is a potent symbol of supreme wisdom and its ability to destroy ignorance. It is a weapon often wielded by the Dharmapalas and protectors such as Garwa Nagpo. 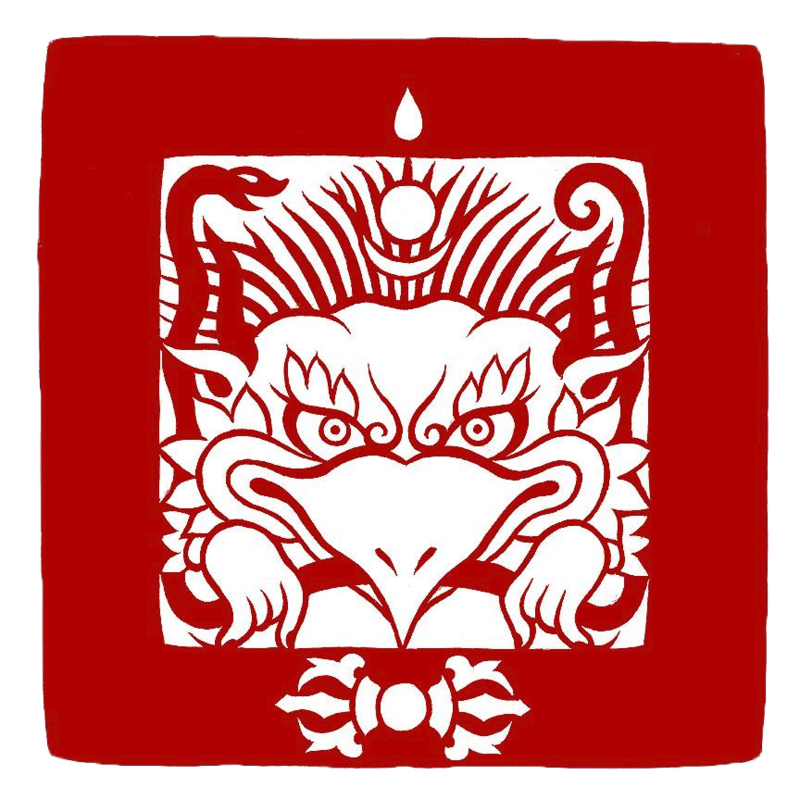 Here it represents the ability to smash all opposition that may hinder the practitioner on the path to enlightenment. They are also used in rituals to drive pegs into the ground and thus help define the ritual space and area to be protected. Damascened metalwork (inlaying of metals) was a very popular decorative style in Derge, East Tibet. On this hammer it has been beautifully inlaid with brass that catches the light like gold. This hammer was a special commission and is not available elsewhere. Hand crafted in Deradhun, India by a maker of ritual phurbas. Tip: If rust starts to appear on any of your iron ritual items, apply some olive oil with a toothbrush (used for this purpose only) and rub away the residue with a clean dry cloth. For very stubborn areas simply use wire wool.